Occasionally some car will show up in your neighborhood that has no reason being there. In this case, a Volkswagen Corrado G60 materialized into existence a short distance from where I live. It was not there one day, and then it suddenly showed up on a street corner and hasn’t moved since. 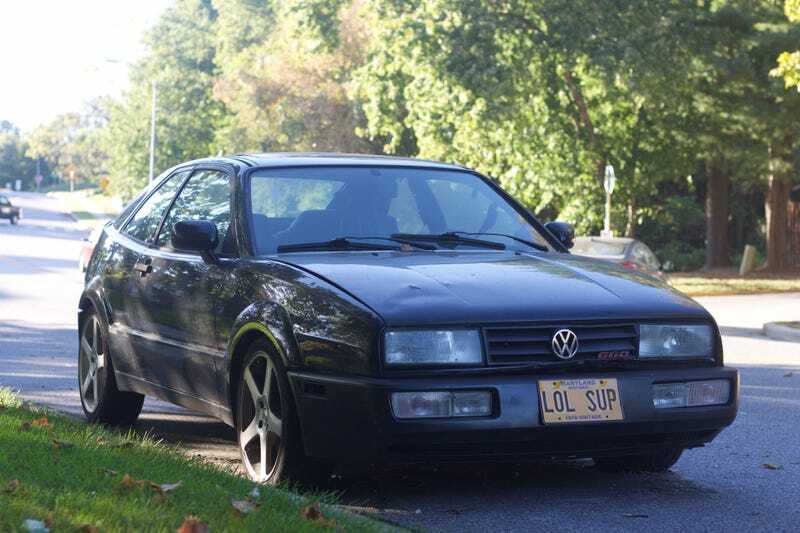 This particular Corrado (known internally as “just a weird Golf” by VW) sports rusted aftermarket wheels and a vanity plate that reads “LOL SUP.” It may not be a “unicorn” car in the traditional sense but it’s certainly out of place in the suburbs of Baltimore and the Corrado is not a common car in 2017. The neighborhood got ever so slightly more German when it showed up. So what’s that weird car sitting down the street? What local enigma is parked nearby? Tell us in the comments.